Hi everyone, this is my final project for my Guest Design spot with Craft Your Passion. 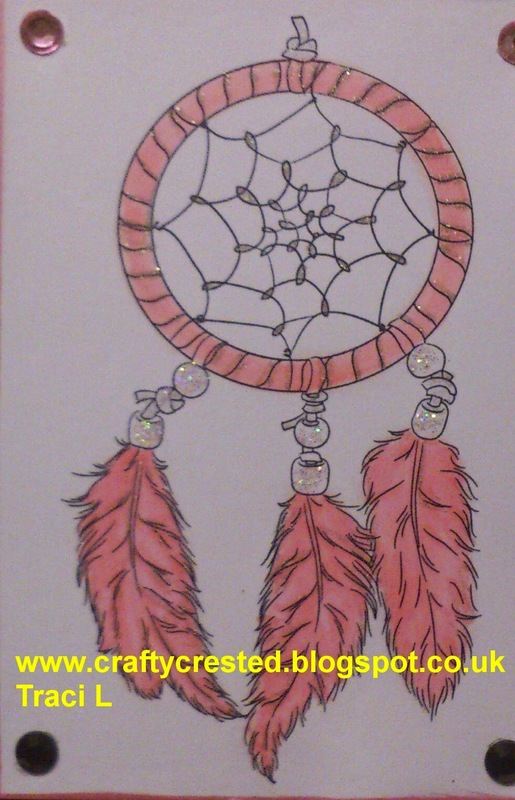 The image is called Dream Catcher by Doodle Pantry. I coloured the image using Copic markers and distressed it using Versafine pink pearlised ink. I used a 7x7 scalloped card blank which I layered with pink Bazzill card and black glitter card. 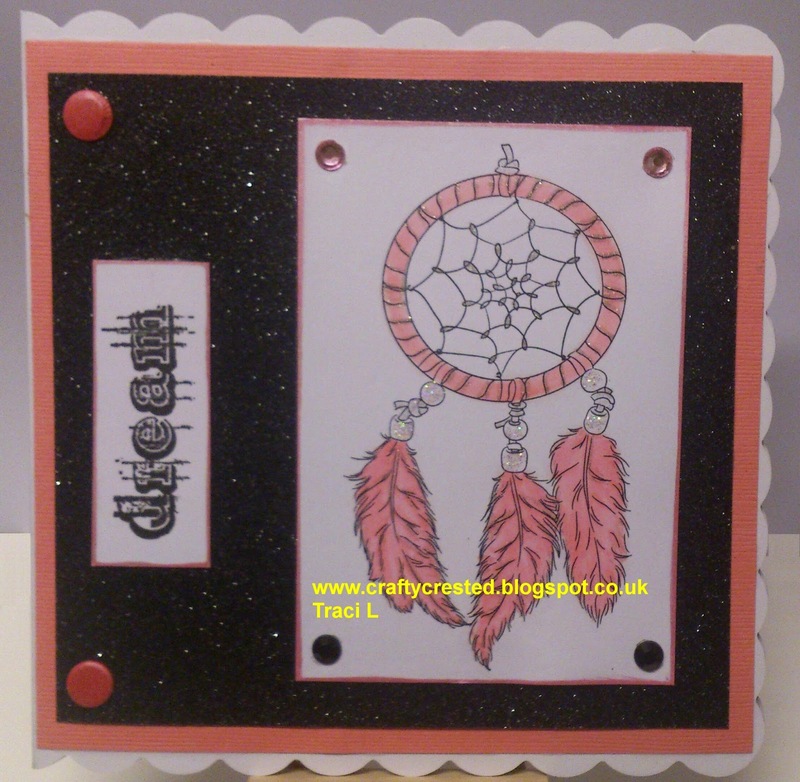 I added a dream sentiment by 7Gypsies and finished with Card Candi, pink and black gems and Stickles glitter. Very pretty card love the color!